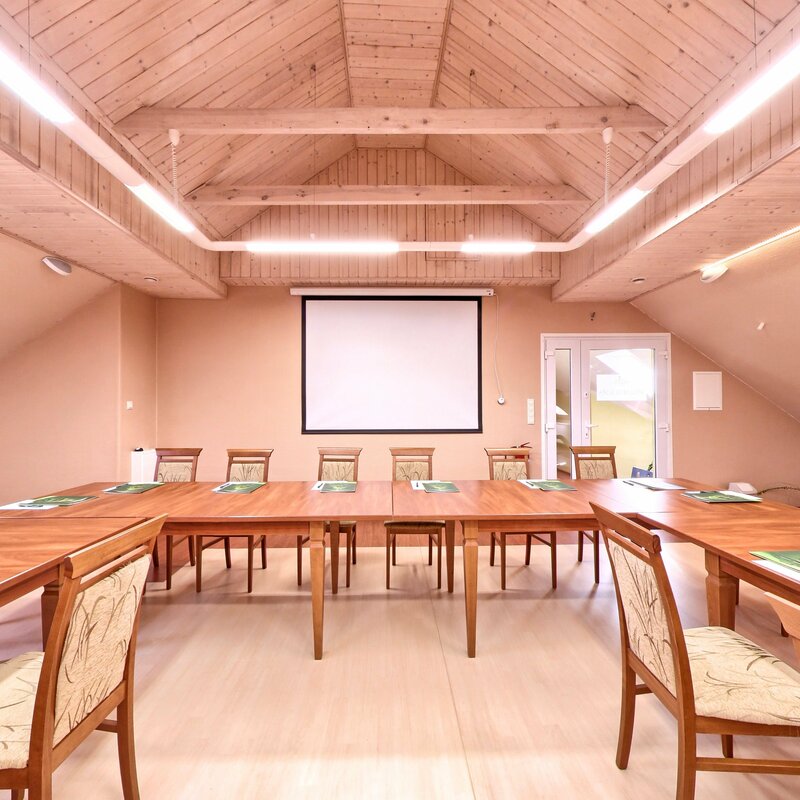 At your disposal are four spacious, independent and fully equipped conference rooms that will attract you with its charm and unique atmosphere. SPA training room — surface of 95 sqm. Number of people in theatre style: 75-80 people, at tables: 45-60 people. Glass training room — surface of 48 sqm. Number of people in theatre style: 35-40 people, at tables: 34 people. Flowery training room — surface of 36 sqm. Number of people in theatre style: 25-30 people, at tables: 20 people. Fireplace training room — surface of 28 sqm. Number of people in theatre style: 10-15 people, at tables: 10 people. 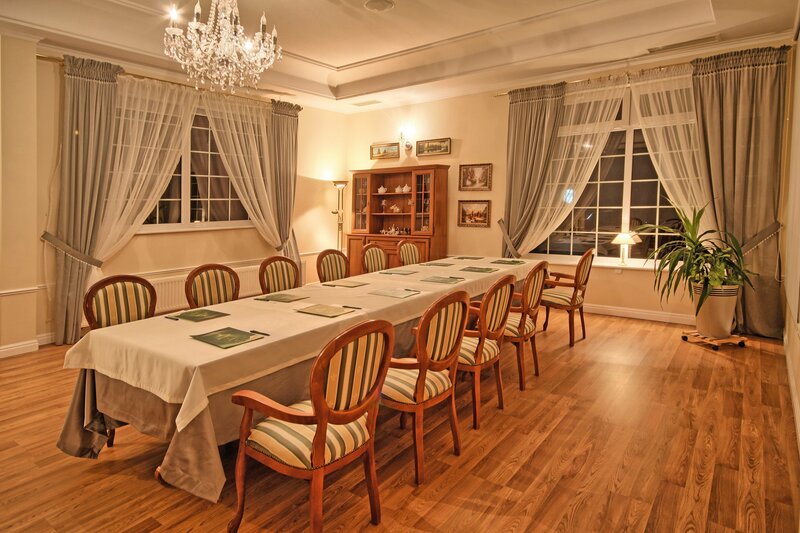 All rooms are properly soundproofed and lit by natural daylight and artificial light, so your eyes will not be tired. Moreover, they are equipped with aesthetic and comfortable conference furniture, which will make your every meeting pleasant. Let yourself be seduced by our exceptional business offer set in our magical spa.